Description: It is a program that allows you to quickly remove USB devices in Windows. 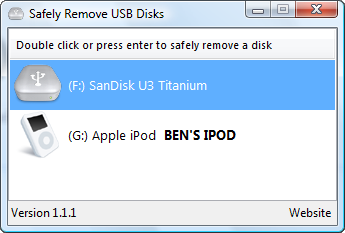 It was originally designed to remove only USB pen drives but will now eject any USB device. It is also able to eject the drive that the program is running from.